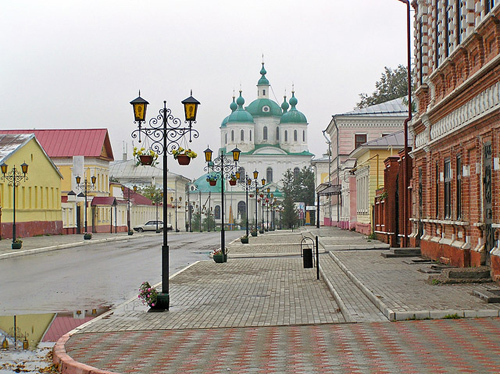 One of the oldest cities of The Republic of Tatarstan, located on the Kama river. The first settlements on the territory of today’s Elabuga are found from the 5th to 8th centuries BC. Today it’s a magnificent and modern city, and important tourist center. There are many carefully restored buildings from the 18th and 19th centuries in Elabuga: the Shishkin House Museum, The Museum-Estate of the cavalry-girl Nadezhda Durova (heroine of the “Hussar Ballad” movie), Memorial Museum of Marina Tsvetaeva and other tourist attractions. The pier is located several kilometers from the city on the site of the nature reserve “Lower Kama”. One of the best tourist cities of Russia.